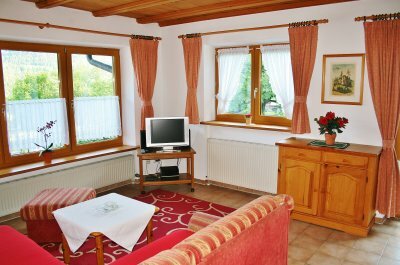 Our self catering apartments have been awarded 4 stars by the German Tourist Association. All units are non smoker apartments. We kindly asked our guests to smoke at the balcony or terrace. 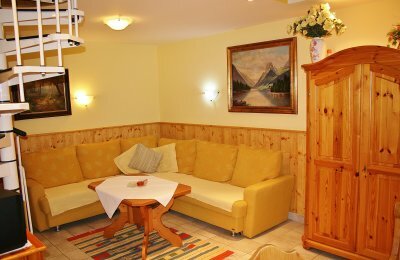 The appartment Hoher Goll is located at the first floor of our mountain fief. The appartment has 2 bed rooms, one with double bed and one with two single beds. In living room is an additional comfortable sofa bed with fire place. The kitchen is fully equiped including dish washer. All rooms are with balcony, bathroom and toilet are separate. Electrical barbecue set provided on balcony. Wonderful mountain view. The appartment is suitable for 4 people. The appartment Hochkalter is suitable for 2 people. It is located at the first floor with 2 balconys for bed room and living room. There is also a romantic fire place. The fully equiped kitchen includes a dishwasher. Electrical Barbecue set provided on balcony. In the bathroom is shower and toilet. Wonderful mountain view. 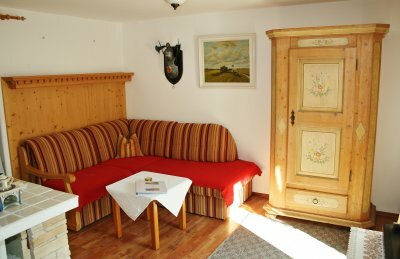 The appartment Untersberg has 1 bedroom with double bed and sofa bed for two, there is also an additional comfortable sofa bed for two in the living room. One attraction to this appartment is our newly renovated sleeping/play gallery for children and youths. The fully equiped kitchen seperate from living room includes dishwasher, the bathroom has shower and toilet. Appartment with roofed terrace. BBQ pit on terrace area. 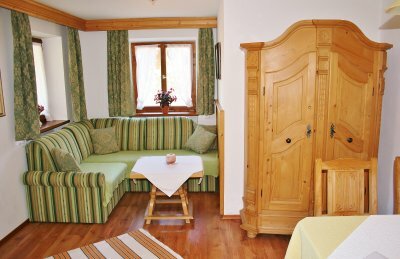 The appartment is suitable for 2 adults and 2-3 children. The appartment Watzmann offers a wonderful sight to the Watzmann mountain. There is one bedroom for two and in the living room there is comfortable sofa bed for a child, with balcony. Fireplace in living room. The fully equipped Kitchen has a dishwasher and is separate from living area. The sunny terrace is an lovely place to have your meals or have a BBQ as a BBQ pit is also available on the terrace. Ideal for 2 people.